What does home mean to you? When we’re starting our careers and families, it’s a question we often answer unconsciously as we make in-the-moment life decisions. On the other side of middle age, though, the concept becomes more complex and tends to require more deliberate planning. Is home a structure in which we live? Is it a neighborhood, a rural setting, a place shared with others? Or is it something bigger that begins with relationships, trust, and interdependence? Calling Home is a Citizens League-led project to prompt intergenerational dialogue on these sorts of questions, which involves considering variables such as self-care, health care, mobility, and retirement planning. 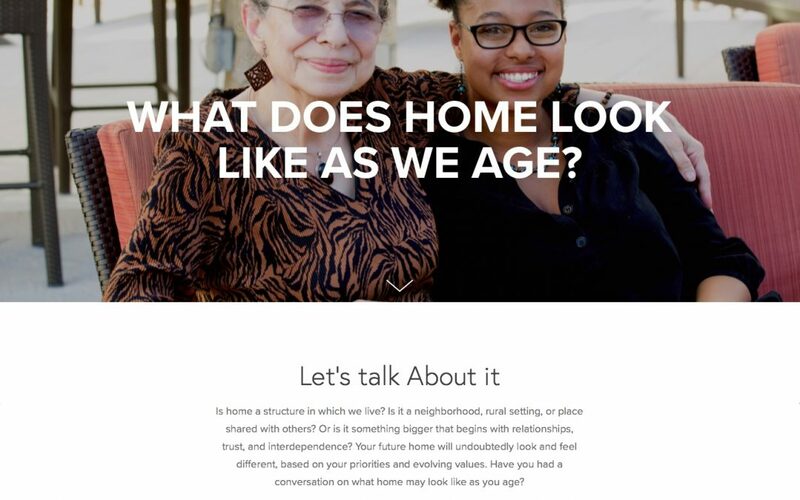 In September, with the help of 11 partner organizations, the initiative rolled out its website, at callinghome.org, which features a senior-friendly interface and state-of-the-art design to engage users of all ages.